Do you came up with unique add-on but you can not write it by yourself? Then MC Addon Maker certainly will help you. By using this website, you can easily create your own custom add-ons as you like. In addition to add-ons, the website has a lot of convenient and useful functions, such as keeping created add-ons in your account and more. For those who do not know what it is, the addon is a special game modification, with which you can change the parameters of any mob, its skin and similar characteristics. Add-ons are very easy to install and can drastically change the game. 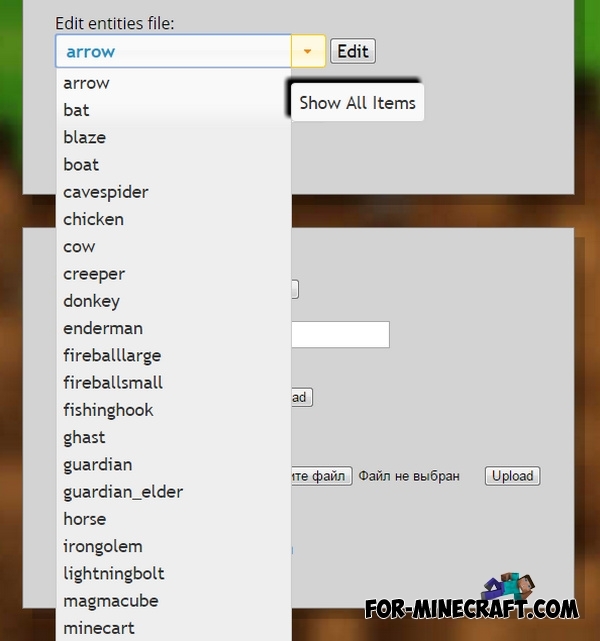 How to create add-ons in Minecraft PE? To get started you need to create your account (https://mcaddonmaker.com/join/), and then change any settings. Select from the list the desired function and do what you want. Once you have created an addon you can share your creation in the social networks. MC Addon Maker will help not only for beginners but also for experienced developers to hone skills quickly and easily.